I would like to tell you about interesting LED light source. This light source is specially designed for optical borescopes for growing demands in the NDT industry. It utilizes a newly designed LED chip which is combined with a specialized focal lens to produce 15% more light intensity then the most powerful light sources in the class. The body is composed of high grade aluminum with an anodized finish. What I like most of all is that this light source is very bright and uses 3 standard AAA batteries, which can easily be purchased everywhere. We made a small experiment and tried to find the moment when this light source stopped working from batteries. Four hours passed, but this light source still gave a bright light beam! I think this light source is a must-have for routine remote visual inspections. 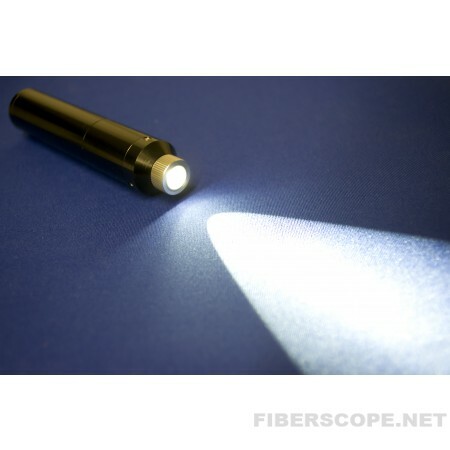 To read more about and shop this borescope light source go here.